Favorite film starring Ruby Dee and Ossie Davis? A promising classical musician finds his life poisoned by a music hall dancer -- and by the strange gaps in his memory. Dr. Dan Wharton: Since when? 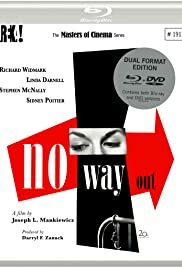 Q: Although never mentioned, was the locale or city in which No Way Out took place ever indicated? 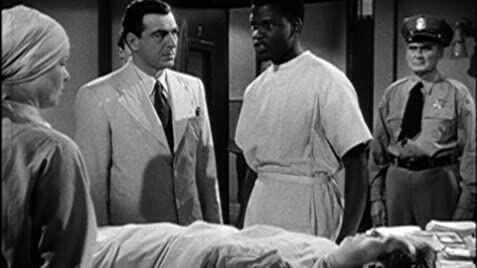 A very effective and engrossing racial drama, with standout performances by Sidney Poitier and Richard Widmark. Widmark, in particular, tears up the screen with his harrowing portrayal of a pathologically obsessed racist; he is almost frightening to watch. The script keeps the action moving along briskly, in edge-of-the seat mode. Still effective, for a film half-a-century old.